The brutal Japanese treatment of Allied POWs in WW2 has been well documented. The experiences of British, Australian and American POWs on the Burma Railway, in the mines of Formosa and in camps across the Far East, were bad enough. But the mis-treatment of those used as guinea pigs in medical experiments was in a different league. 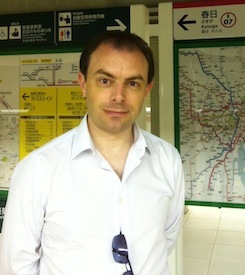 The author reveals distressing evidence of Unit 731 experiments involving US prisoners and the use of British as control groups in Northern China, Hainan Island, New Guinea and in Japan. These resulted in loss of life and extreme suffering. Perhaps equally shocking is the documentary evidence of British Government use of the results of these experiments at Porton Down in the Cold War era in concert with the US who had captured Unit 731 scientists and protected them from war crime prosecution in return for their cooperation. The author's in-depth research revealed that, not surprisingly, archives have been 'combed' of much incriminating material but enough remains to paint a thoroughly disturbing story. 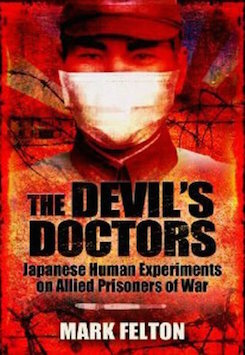 "Uncovers the shocking links between Allied POWs and the infamous Unit 731, at the Mukden POW Camp in Northern China, and proves that the British and American governments co-operated post-war, using data derived from Japanese experiments for chemical and biological warfare purposes."